Running an ultramarathon is an activity that many are addicted to and I must admit I enjoy it a lot. 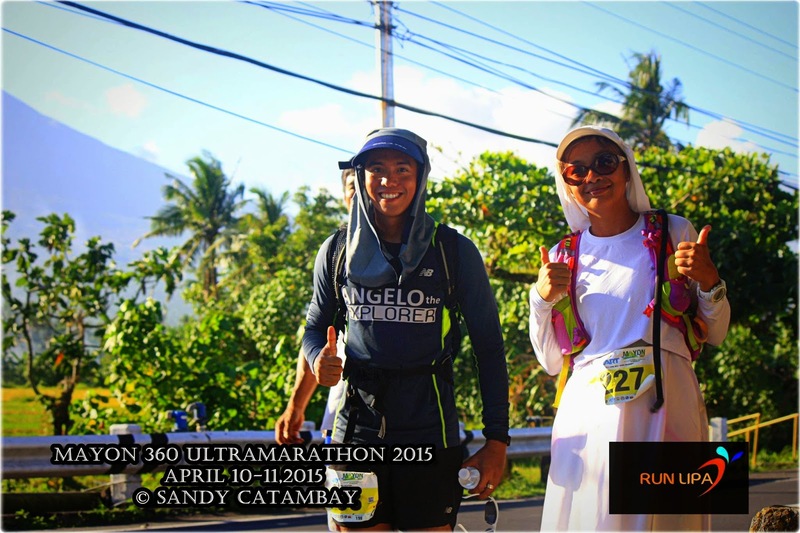 Ultramarathona challenge not only your body but also your mind – specially if you have been running for over 7 hours. 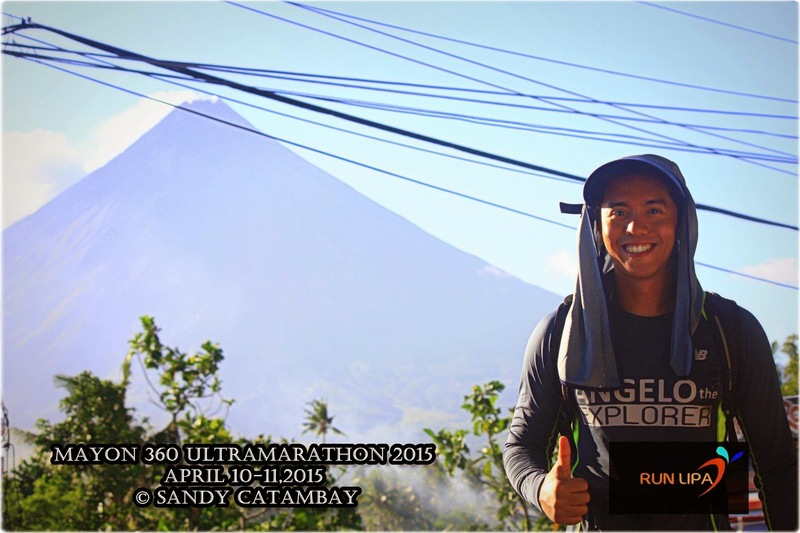 Last April 11, 2015, my anticipated run finally arrived, The Mayon 360 80km Ultramarathon. I had been looking forward to this run for months. I prepared and really trained well for this event and when I heard the count down at the starting line, I said to myself, good luck and this is it! The run started at exactly 4 am. Not the usual time for an ultra marathon but I was up for the challenge. During the run, while my body is starting to warm up, my mind started to play it’s role and started talking to me as a motivator. Different thoughts and emotions came to me, from being excited, to reminding myself to carry on, and in the end giving me hope that I could make it. 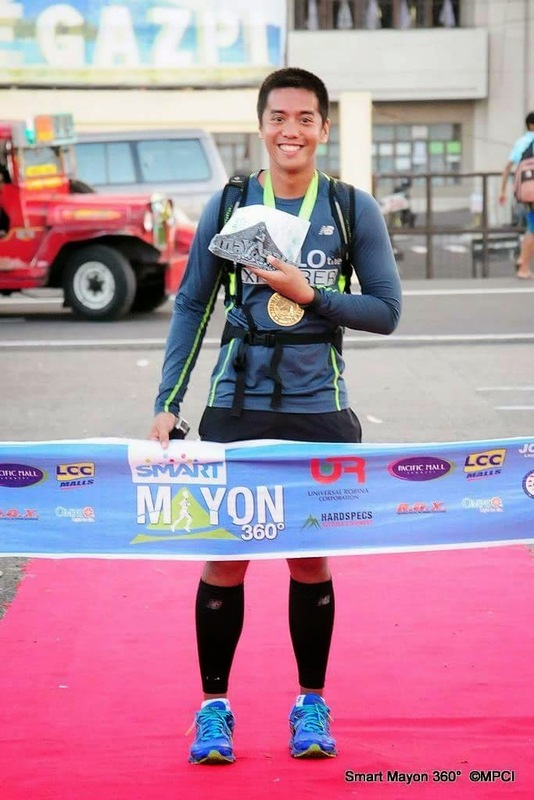 I would like to share with you 10 Personal thoughts that came to my mind while running the Mayon360 80km Ultramarathon . Whether short or long distances, I always make sure I ask for safety and guidance from God. Because with Him, anything is possible. 80km is a big number in ultramarathons and I respect that a lot. So, with all the training, guidance from God is a must! One thing I love running out of towns or in provinces is the excitement you see from the people in the community and the joy you see from other runners. 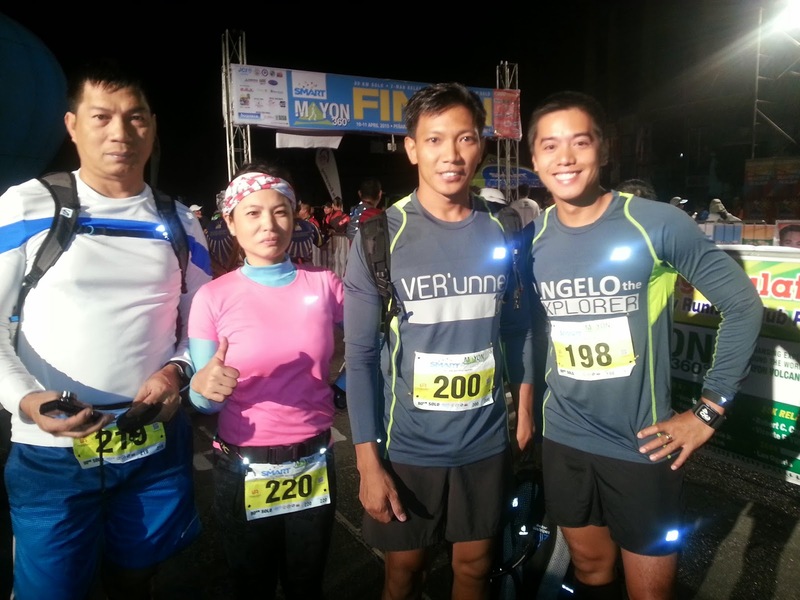 While running in the Mayon 360, I really appreciated the Albayanos for really supporting this event. You hear them shouting “Kaya Pa?”, “Kaya mo Yan!” and “Kayang-Kaya!” . These phrases are music to my ears as it gave me more reason to push myself. It was also nice to meet other running friends from Manila who came all the way to Legazpi, like me, just to be part of this prestigious event. There were also hundred of runners who joined in and I think it was also nice to cheer for other runners if you get a chance. You gain more friends that way. You are running around the Mt. Mayon which is the World’s Perfect Cone Shaped Volcano. It’s shape and grandeur have made it a famous destination in the Philippines. Tourists flock to Albay to see this active volcano and I am not surprised – Mt. Mayon is beautiful! I could stare at that volcano for hours and I wouldn’t get tired of looking at it. This was also the main reason why I wanted to join this event. This has always been the advice of many runners simply because it’s true! I kept reminding myself to run at my own pace and not to compete with others. Having a strategy is also very important during the race, I am not a competitive runner but I wanted to make sure that I would still have the energy to reach the finish line. I wish I could run all the way but I just couldn’t. So I tried to apply the Gallaway Run-Walk intervals but my feet were starting to get sore from running on asphalt because of the heat. During the Mayon 360, there were some parts were it’s uphill and some were downhill. But 80% of the terrain was mostly flat which can also be quite challenging. For the first 40km, we were very lucky that it became cloudy and it even rained for a few minutes durign which I took shelter because I didn’t want my shoes to get wet to avoid blisters. But at around 11:00 am, that’s when the skies cleared up we felt the most intense heat that I have ever experienced before in running. People put out buckets of water and a small tub so that runners could cool themselves off. There were also shower stations provided by the roving marshals which was very helpful. There were also some locals who were kind enough and offered us watermelons and ice water. They were also pretty accurate about their Hydration stations which were available every 5 kilometers so I tried to drink as much water as I could and grabbed something to chew on. 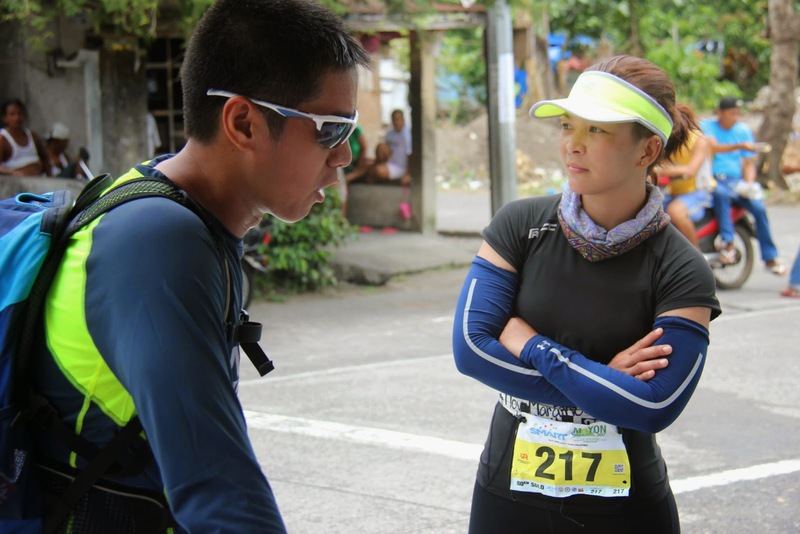 There were some runners who always looked back and checked how far they were from other runners. I was like that before because maybe I was trying to compete with someone or just simply being competitive, but if you are already running over 50km, things are different. I always reminded myself about that, We all train differently, our body types are also different, so I should never compare yourself to others. There were also different categories at this event like relays. I must admit, it was not cheap to run at Mayon 360. You have to pay for your airfare, accommodation, food, tour, and much more. But, the experience was all worth it. It was a festive season when we arrived in Legazpi City because they were also celebrating the Daragang Magayon Festival of which Mayon 360 forms part of this huge event. I kept telling myself that I would not go home to Cavite without that medal and trophy. It’s a great motivation! We had been under the intense heat of the sun for so long and I must admit that it was the most difficult part of this race. The heat started hitting me and there were times when I started feeling dizzy. But, I had to remind myself again, didn’t we practice for this for months? We climbed mountains, I joined a lot of LSD’s, and ran in the middle of the day as part of my preparation for the Mayon 360. I remembered when the Race Director said during the briefing that if you had cramps or feeling something wrong during your run, that means you still lack training. I will remember that forever! I am very thankful that I had no injuries during the run except for some blisters. A great way to push yourself is to BELIEVE that you can do it! I always believed in the power of mind over body. But in running, both must contribute at the same time. I’ve never been so pressured about the cut off time until the Mayon 360. 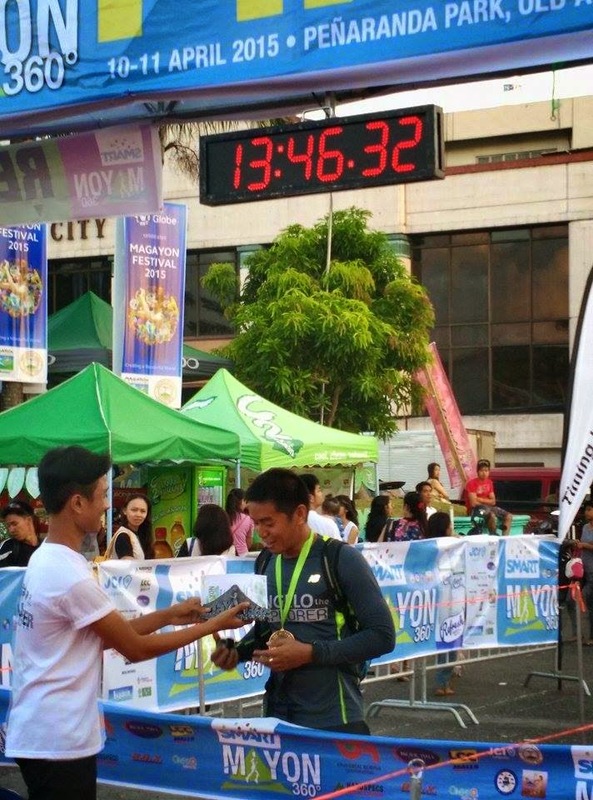 During the Mayon 360 for the 80km Solo category, there were two cut off times for the 80km Solo run. A runner must reach the 40th km in 8 hours and you must reach the finish line in 16 hours. With great determination and optimism, I was always reminded that I was going to make it to the finish line! I did! Running the Mayon 360 was such a great experience. A great challenge every runner should try. I always had goosebumps when I saw Mt. Mayon Volcano on my right side during the run. It was amazing to think that I ran around Mt. Mayon Volcano! I would like to take this opportunity to thank all the people of Albay for their warmth hospitality. For the great cheer from start all the way to the finish, shouting Kayang-Kaya! ( You can do it!). From putting out buckets of water and showering us to cool every runner. All I could say was a big thank you to you all! The sound of that cowbell was priceless! You proven to us why it’s MORE FUN not just to visit Legazpi but also to run around the world’s perfect cone shaped volcano! We will definitely be back! lot of courage and respect kudos! Thank you so much Dearest Divarunner! 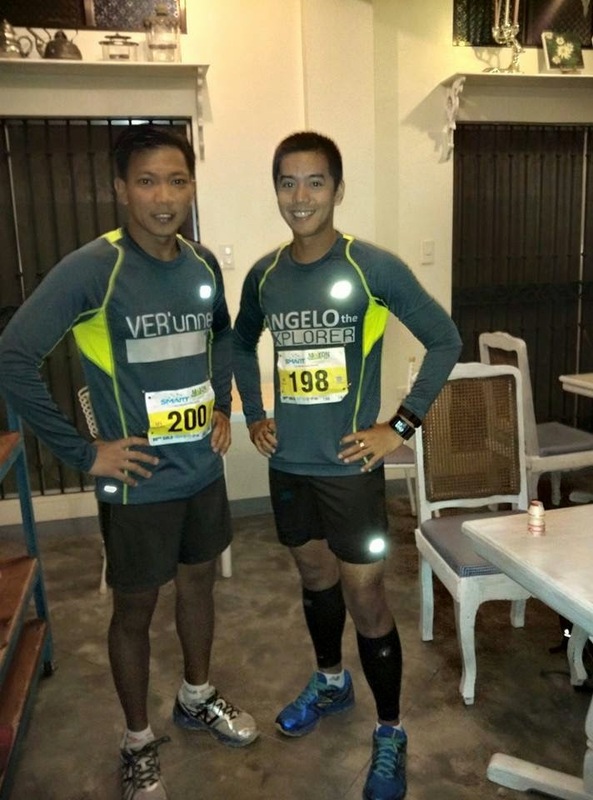 Angelo,you've done great and proud of you having this ultramarathon. Really, you explored Albay with your heart and soul. Wow! What a beautiful view to run and be an inspiration. My hats off to you Brother. I bet it is a memorable experience for you. Congrats and you even finished with a good time. It's nice that you also have your personalized shirt. Many many congratulation for this achievement,you indeed made a great job done. Thank you so much Debarpan!